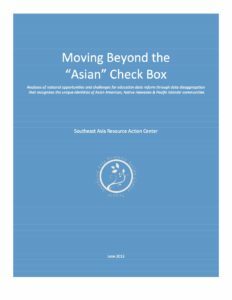 Southeast Asian American (SEAA) students face multiple barriers to education. 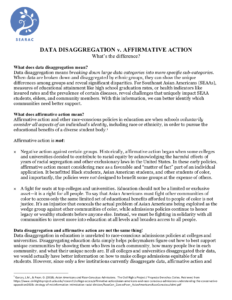 However schools and policymakers often lump them together with all other Asian American students, rendering them invisible. 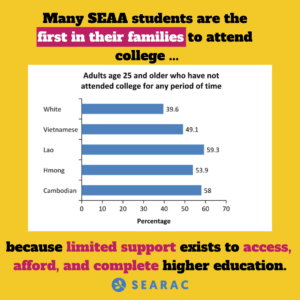 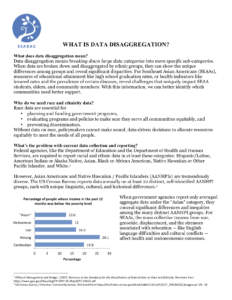 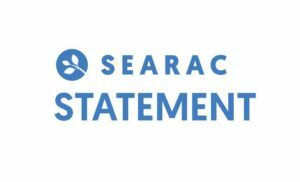 SEARAC’s education policy work pushes for better data on SEAA student needs and outcomes. 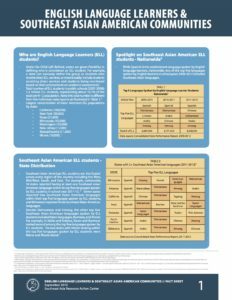 We also advocate for the rights of English learner students and their families, school engagement of our immigrant and refugee parents, college access for low-income students, community-tailored programs like Asian American & Native American Pacific Islander-Serving Institutions, and civil rights protections for students. 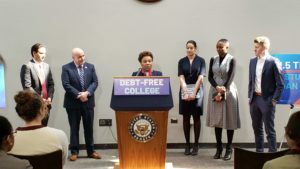 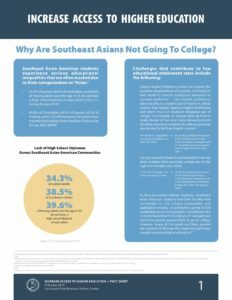 Increase Access to Higher Education – Why Are Southeast Asians Not Going to College? 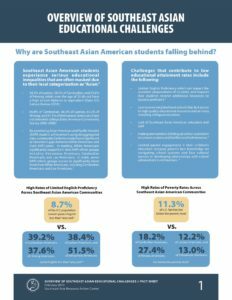 Overview of Southeast Asian Educational Challenges: Why Are Southeast Asian American Students Falling Behind?